Ms. Snead has a general practice with an emphasis in the areas of matrimonial law, guardianship proceedings, real estate and civil litigation. Ms. Snead has successfully litigated real estate matters involving residential and commercial sales, easement and boundary disputes, as well as adverse possession claims and routinely counsels clients on the sale and purchase of real estate, land use and zoning matters. In addition, Ms. Snead represents small businesses and individuals with respect to incorporation, purchase or sale of a business, including drafting and negotiating asset purchase and stock purchase agreements, non-compete agreements, and commercial real estate leases. 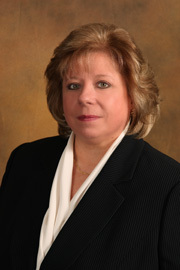 Ms. Snead is admitted to practice in New York and the United States District Courts for the Eastern and Southern Districts of New York and has earned the highest national rating for legal ability and general ethical standards by achieving the prestigious “AV” peer rating from Martindale-Hubbell, which rating recognizes attorneys for the highest level of skill, integrity and professional excellence.